LG Electronics launched its latest premium smartphone, the LG G8 ThinQ, in North America on Friday via major mobile carriers including Verizon Communications, AT&T, Sprint Corp. and T-Mobile, the tech firm said Sunday. The new model features a biometric unlock system that recognizes the pattern of veins on a user’s palm. It also has a fingerprint sensor and a rear camera assembly that is flush with the glass. In addition, the call-receiver speaker has been removed to allow the organic light-emitting diode panel to be used as a speaker. The G8 supports DTS:X 3D surround sound technology, which emulates a 7.1-channel system with or without earphones. It also has a boom box speaker that can turn the device into a Bluetooth speaker, allowing users to listen to music, make calls, and watch movies in a multimedia entertainment experience, according to LG. 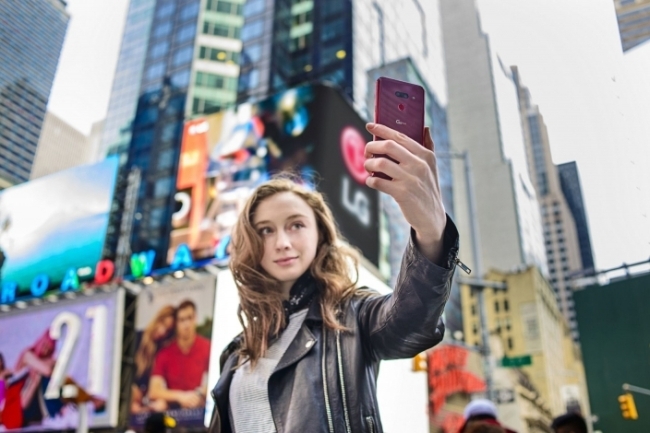 Furthermore, its Z camera enables users to take better selfies and pictures. With the front-facing lens and advanced 3D-depth sensors, users can get a sharp focus on a subject while softening the background to achieve a sense of depth.